Add a flair of elegance to your outdoor space with this romantic, classic gazebo birdfeeder. Exterior grade plywood & cedar shingles helps ensure this wood bird feeder will keep your feathered friends safe in all weather. 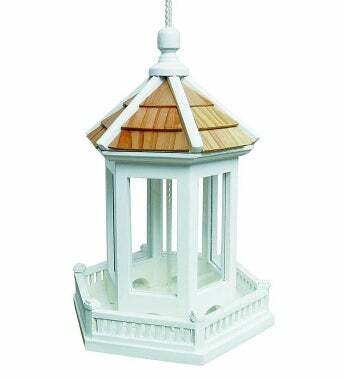 Add a flair of elegance to your outdoor space with this romantic, classic gazebo birdfeeder.